Soil fertility is in part based upon the its pH level. 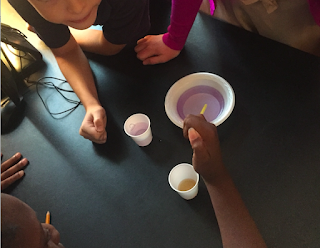 This week, tested the pH of common household substances using an indicator made from red cabbage! Boiled red cabbage makes a great pH indicator. Add the pH indicator to liquids and note the color change. The color of the liquid can be compared to a chart indicating its pH.